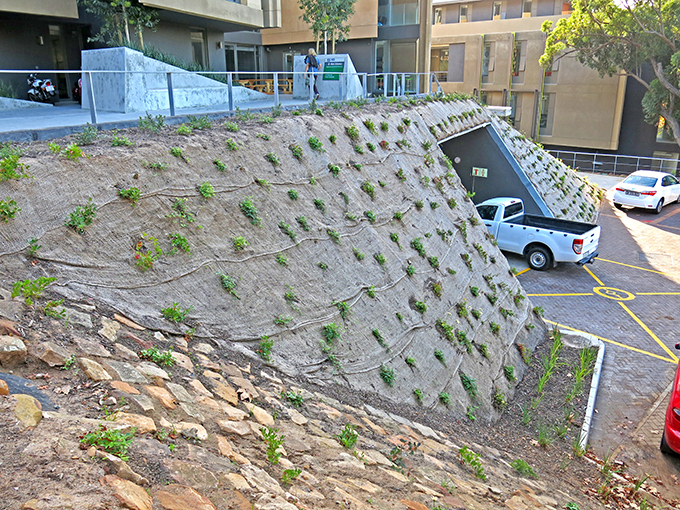 For years the University of Cape Town (UCT) rebuffed the suggestion the use of any concrete type product for their garden walls, stairways or retaining structures, instead insisting on the use of natural stone in keeping with the style and character of the campus. 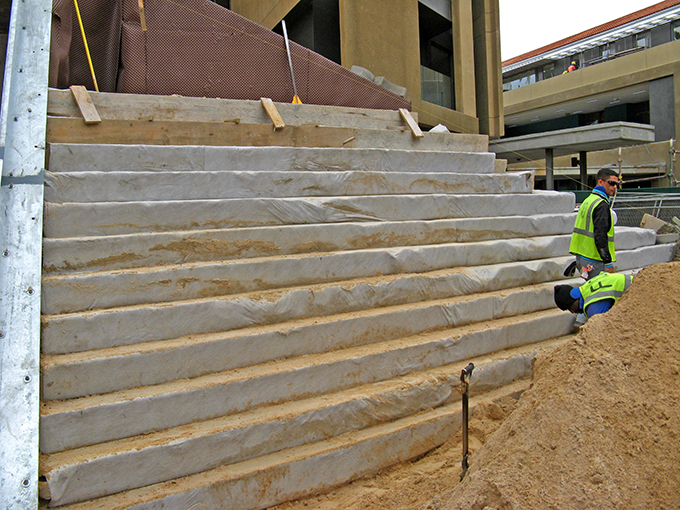 However, they soon came to realize that the use of natural stone was becoming extremely expensive and time consuming and eventually Dave Killa of Force Ten, a Cape Town based Terraforce recommended contractor, managed to demonstrate the advantages of interlocking concrete block systems to the decision makers. 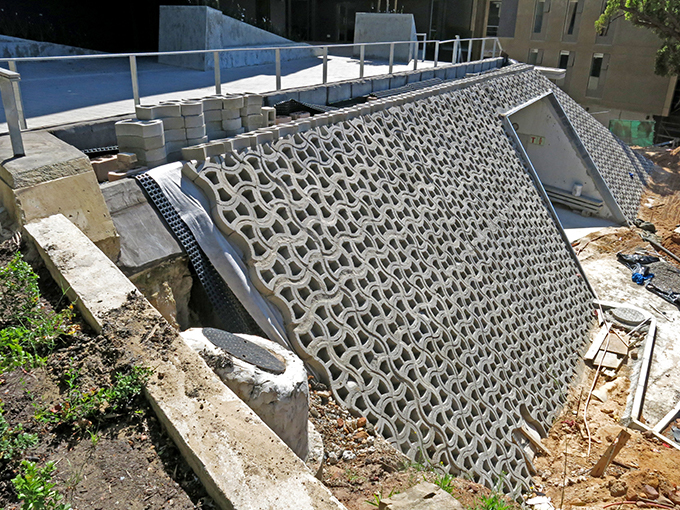 In a short space of time, Force Ten first built a low retaining wall behind a substation with L12 blocks. 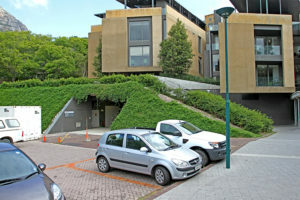 Next came a flight of stairs from the lower access road to parking area 6, with a combination of Terraforce 4 x 4 step blocks and L12 blocks along both sides. Next, the UCT tennis club had a seating pavilion installed by another recommended installer, Decorton Retaining, using the same combination of blocks, 4 x 4 and L12 blocks. 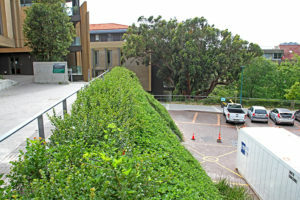 Most notably however, in 2014, a very unique Terrafix erosion control block project was installed at the Engineering building, as part of refurbishments and building updates at the university. 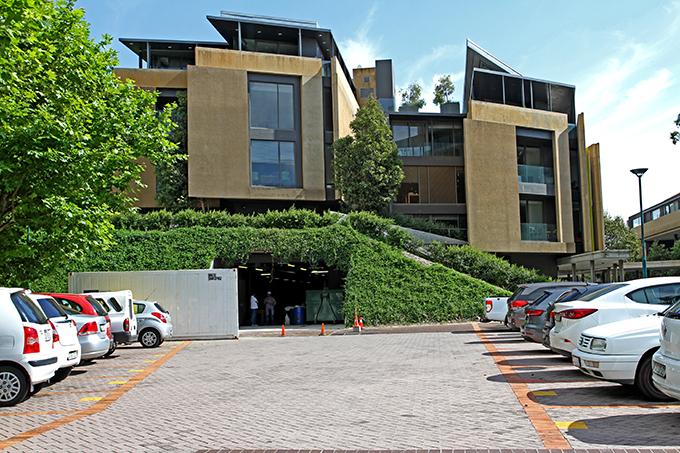 Designed by leading architects, SAOTA, the innovative design called for the construction of a stable slope of Bidim encased cement stabilized sand, clad with Terrafix blocks, and finally finished with a layer of cascading vegetation. 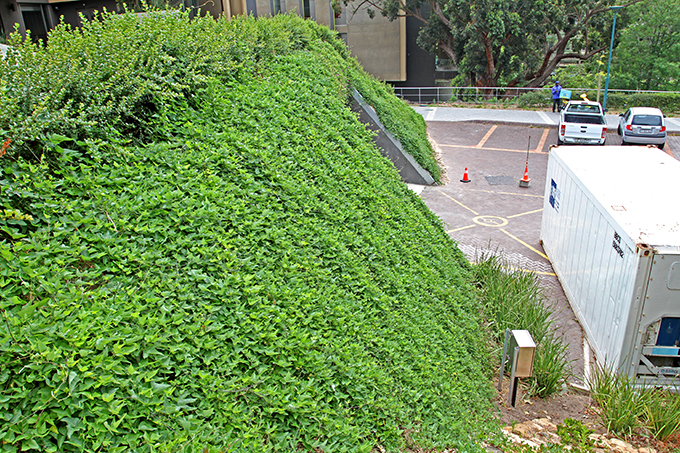 The plant species used were three different types of Indigenous creepers, that offer different growth rates and give quick, medium and long term cover for this wall. 1. The plinth before being waterproofed. 2. 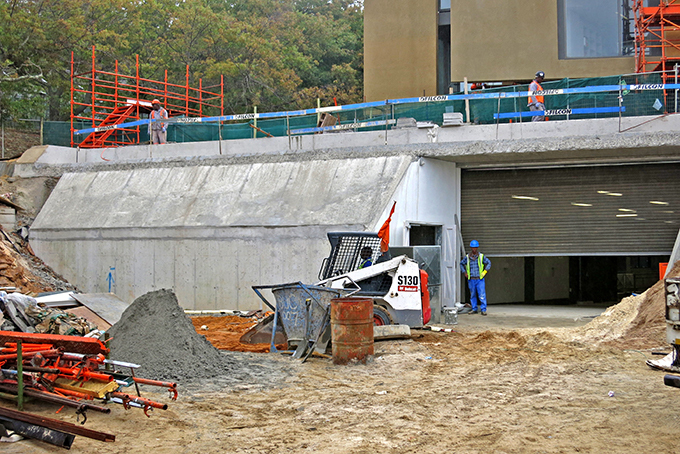 Filling of the triangular space below the sloping concrete plinth. 3. Installation of a multi layered slope, starting with a heavy duty waterproofing product, followed by moisture retaining layer, a layer of spun bonded filter fabric and, as the backbone so to say, a layer of Terrafix 120 erosion control blocks, filled with topsoil, for stability. 4. For the final layer, a honeycomb-cellular plastic mattress was chosen, filled with more topsoil and covered with a hessian erosion control blanket, ready for plant establishment. 5. The green plinth displaying as planned.